If you’re having a hard time figuring out what the real status of Obamacare is, don’t feel badly What you are seeing in the current news coverage and debate is another reflection of of the dysfunctional state of our leadership class, a dysfunction driven in no small part by the fact that our political debates have become increasingly controlled by a post grad elite – lawyers, MBAs, economists, and products of journalism school - to a degree never before known in American history. This elite has replaced conscience with complexity, explicit goals with fuzzy projections, facts with verbiage, plain language with legalistic code, doing things with data, and progress with process. For example, in recent years the number of lawyers in the Senate has varied from 54 to 60 - or nine to ten times the percentage found in the American workforce. Throughout history, good politics has depended on high social intelligence and wisdom, connections with a constituency, and the ability to understand and respond to the needs of the average citizen. As our politics has increasingly been dominated by a grad school elite, it has become ever more distant from those it is meant to serve. Further, the training of this elite has tended to compartmentalize its thoughts into the boxes and biases of specific specialties, leaving it uncomfortable or incompetent in dealing with the holistic implications of politics. If you think this is an exaggeration, go back and read about the battle for a minimum wage, Social Security, Medicare, Medicaid or civil rights. The public knew what they were going to get and how they were going to get it. This is no longer the case. Or consider the fact that our current depression has been greatly prolonged by economic theories acceptable to the country’s academic, political and media elite but which are in direct contradiction to empirical evidence. What was once a government of laws has become a government of incoherent contracts and language not unlike that you avoid reading on your computer in order to get your new software going. We are a nation collapsing from the top. Most Americans live in oases of still relative sanity but are controlled by an elite that has lost its capacity to converse with, explain to, or lead the rest of the land. Under today's rules the options given the states would have been early eliminated in favor of hundreds of pages of federal regulations. Over the following decades the use of greenmail would explode . The liberal obsession with federal control has reaped not only bad legislation but much of the ill will that makes liberalism such a weak part of today’s American political scene. For example, liberals love the commerce clause of the Constitution because, in their eyes, it permits them to do whatever they want on the false grounds that they are regulating interstate commerce. In 2005, Sen. Barack Obama spoke in opposition to Roberts' nomination, saying he did not trust his political philosophy on tough questions such as "whether the Commerce Clause empowers Congress to speak on those issues of broad national concern that may be only tangentially related to what is easily defined as interstate commerce." Today, Roberts did what Obama predicted he would do. Construing the Commerce Clause to permit Congress to regulate individuals precisely because they are doing nothing would open a new and potentially vast domain to congressional authority. Congress already possesses expansive power to regulate what people do. Upholding the Affordable Care Act under the Commerce Clause would give Congress the same license to regulate what people do not do. The Framers knew the difference between doing something and doing nothing. Of course, using “tangentially related” arguments is much of what Washington is about these days. The Senate even sneakily got Obamacare going by making it an amendment to a House bill, thus circumventing the constitutional requirement that revenue and tax bills originate in the House. Health insurance providers can't cancel your coverage once you get sick – a practice known as "rescission" – unless you committed fraud or intentionally withheld facts about your health when you applied for coverage. Youth can be covered under a parent's plan until they turn 26. Children with pre-existing conditions cannot be denied coverage. Health insurance providers may not place a lifetime maximum on benefits. Insurers are required to give consumers rebates if they spend less than 80 to 85 percent of premium dollars on medical care. Health plans created after Sept. 23, 2010, are required to cover certain preventative services without requiring copays, deductibles and coinsurance. The law expands Medicare's coverage of preventive services, such as screenings for colon, prostate and breast cancer, which are now free to beneficiaries. Medicare will also pay for an annual wellness visit to the doctor. If you are older than 65, the law is narrowing a gap in the Medicare Part D prescription drug plan known as the "doughnut hole." Starting Aug. 1, employers must provide health insurance plans that offer birth control as part of their preventative services. Adults with pre-existing conditions will not be denied coverage (this already applies to children). People who don't qualify for Medicaid but still can't afford insurance may be eligible for government subsidies. The subsidies would be used to help pay for private insurance sold in the state-based insurance marketplaces, called exchanges, slated to begin operation in 2014. Applicants will not be rejected for insurance because of health status once the exchanges are operating in 2014. If a state does decide to expand Medicaid, people with an income at or below 133 percent of the federal poverty level would be eligible to receive coverage. Insurers can't just drop customers once they get sick. Insurers need to have an appeals process for when they turn down a claim, so customers have some manner of recourse other than a lawsuit when they're turned down. If any state can come up with their own plan, one which gives citizens the same level of care at the same price as the PPACA, they can ask the Secretary of Health and Human Resources for permission to do their plan instead of the PPACA. So if they can get the same results without, say, the mandate, they can be allowed to do so. Vermont, for example, has expressed a desire to just go straight to single-payer (in simple terms, everyone is covered, and medical expenses are paid by taxpayers). Now, here’s where it get complicated. . . . .
We do not know what plans insurance companies have to work around the bill in order to earn more money. The measure is dependent upon de facto subsidies to these companies through such means as the mandate and therefore the insurance industry’s manipulations are critical to the bill’s costs. "Frankly, to be able to tell you your taxes have been raised by this bill and you didn't know that, as opposed to trying to explain Congress's powers under the commerce clause, it's easier," a senior Romney adviser told The Huffington Post. Even analysts at liberal economic think tanks have said that the Affordable Care Act amounted to a $525 billion tax increase. And what happens if this bill helps to produce not only a victory for Romney but a GOP Senate as well? (The media has been badly underrating the danger of the latter). Because the measure is a tax bill, it would not be subjected to the current filibuster rules. (Also unmentioned by the media, incidentally, is that a GOP Senate could do away with the filibuster rule in its initial organization the session). It is conceivable that the entire bill will be repealed, thanks in no small part to particularly unliked provisions such as the individual mandate. What about the provision under which doctors pay will be determined by the quality of their care? This opens the door for extensive controversy, anger and problems. Employers with more 50 or more workers are required to have health insurance, but what if some break up their firms into smaller operations? And what if smaller firms drop their health plans? And what if large firms change the nature of their health insurance? How many will be hurt and in what ways? The individual mandate has been portrayed in the liberal media as largely affecting people who don’t have insurance as a matter of choice. This is highly unlikely. Although there has been an striking lack of analysis of this constituency, it is likely that a majority is made up of people who can’t afford healthcare (or the individual mandate version), people laid off by firms, and minorities in jobs without healthcare. The Obamacare backers have seemed totally indifferent to this. Ida Hellander, MD- The individual mandate compels people to pay a penalty — the greater of up to $695 per individual and $2,085 per family or 2.5 percent of family income — if they don’t have other coverage and fail to purchase an expensive and defective private health insurance product. The coverage under the ACA is so skimpy, with so much cost-sharing, it won’t prevent medical bankruptcy. 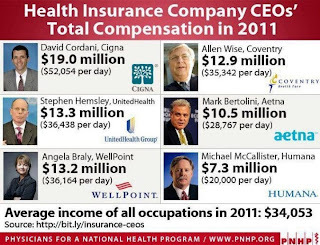 It’s really “underinsurance.” The coverage is unaffordable. In Massachusetts, where a mandate plan has been in effect since 2006, the cheapest policy for a 55-year-old is $5,000 and carries a $2,000 deductible. It costs $7,000 before even a penny of coverage kicks in. The burden of the mandate falls on working and middle-income families, who make too much for Medicaid but too little to afford private coverage, even with the tax subsidies. It enriches the private insurance industry with $447 billion in taxpayer subsidies. It maintains the administrative complexity of the current system with over $400 billion squandered on administrative waste The vast majority of the uninsured are in working families. Hence, they are already paying taxes to support Medicare (which pays for medical training and other necessary health infrastructure), Medicaid, and other health programs. It doesn’t lead to anything even close to universal coverage. ACA leaves at least 26 million uninsured. Since August 2011, 89,000 children in Pennsylvania have lost their Medicaid coverage, including many with life-threatening illnesses who were mistakenly deemed ineligible. The state currently hasn’t a clue whether many of these children have any health care coverage at all. In late summer, the Pennsylvania Department of Welfare began notifying hundreds of thousands of families by mail that they had ten days to provide necessary documentation in order to keep their children enrolled in Medicaid. If the family missed the deadline—or even if they met it but DPW failed to process the paperwork within the ten days—they were dropped from Medicaid. How many more such stories are waiting out there? The individual mandate offers no benefit to patients or the public that could not more cheaply and fairly be executed by a public program. There is, in fact, no justification for the mandate other than as a subsidy of private insurers who are, in this case, totally unncessarey. NPR: If you are covered under a private Medicare Advantage plan, the law changes portions of the plan, cutting payments to some of those plans. Critics say that could mean the private plans may not offer many extra benefits that you may have previously enjoyed, such as free eyeglasses, hearing aids and gym memberships that they now provide. MarciaAngell, MD - Obamacare is simply incapable of doing what it is supposed to do -- provide nearly universal care at an affordable and sustainable cost. The problem is that three years ago, in his futile efforts to win over Republicans (remember the embarrassing courtship of Olympia Snowe? ), Obama gutted the law before it was even passed. 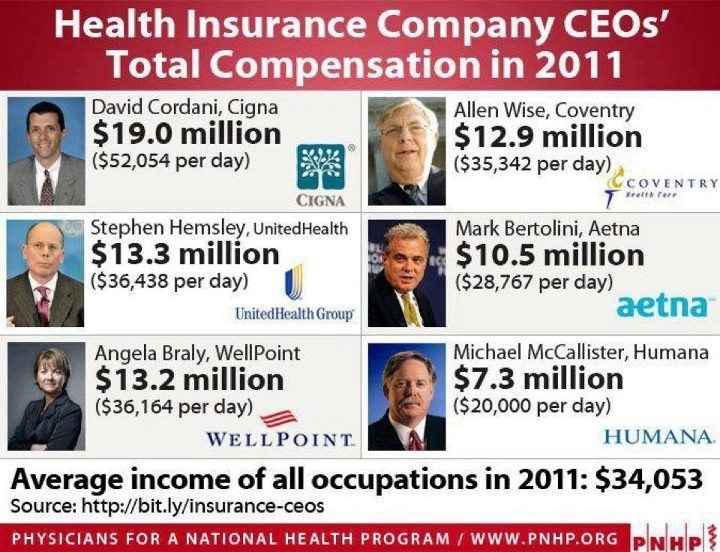 He made the private insurance companies the linchpin of the new system, and promised them millions of additional customers and billions of taxpayer dollars. He also did nothing to rein in the profit-oriented delivery system that rewards providers on a piecework basis for doing tests and procedures. So with all the new dollars flowing into the system and no restraints on the way medicine is practiced, the law is inherently inflationary. Many of the uninsured who are subject to the mandate to purchase private insurance will choose to pay the penalty/tax instead. That will lead the insurance companies to raise their premiums, demand that the penalties be greater, or both. Deductibles and co-payments will increase to the point that many people will have insurance they can't afford to use. (This is the case in Massachusetts.) …. On July 22, 2009, Obama said in a press conference, "Now, the truth is that unless you have what's called a single-payer system in which everybody is automatically covered, then you're probably not going to reach every single individual." Bingo. Too bad he didn't hang on to that insight, and use his rhetorical skills to make the case strongly to the American public. If he had fought for single-payer health care at the beginning of his administration, while he had both houses of Congress, and mobilized public opinion behind it, he might have made it. Finally, perhaps the best thing about the bill is that it makes Medicare for all seem simple, sensible and sweet.